A Plastic Pipeline for Commercial Bioprocessing? The maturation of single-use technologies presents commercial bioprocessing options for small-volume drug products. Single-use systems are the dominant form of bioprocessing technology used for scale-up, clinical production, and process development; an estimated 85% of pre-commercial bioprocessing is conducted in single-use equipment and materials (1). Adoption for commercial production has been slow; however, as more therapies developed under single-use processes move toward regulatory approval, industry experts expect the percentage of biologic-based drugs produced by these systems to increase. The benefits of single-use technologies factor into increased adoption. Lower capital costs for facilities and equipment, lower operating costs, smaller equipment footprints, lower overhead costs, flexibility of system configurations, faster changeover times, the reduction or elimination of cleaning steps and cleaning validation, and a lower risk of cross contamination are recognized as benefits of single-use systems compared with traditional stainless steel (2). 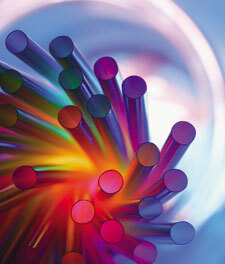 Business strategies and pressures may also factor in decisions to go the single-use route. Pressure to get drugs to market faster, the smaller batch sizes characteristic of targeted therapies, and the comfort level biopharma companies and contract manufacturing organizations (CMOs) have with the advancements in plastics are other factors. A single-use approach allows small companies that have one molecule to get into production with a lower capital investment, says Ben Hughes, global director, tech transfer, pharma services, Patheon, a part of Thermo Fisher Scientific. A large pharma company with a portfolio of molecules can screen a number of molecules, do proof of concept, and see which ones they want to progress, and which ones may not make it, he says. Globalization is another factor, Hughes says. “In the old days of biologics blockbusters, the model was to have a stainless-steel facility and you supplied the world out of that. Now the model is different,” he says. “There is a lot more pressure if you want to be in a country or region, you need to produce in that country or region.” Smaller bioreactors and single-use systems facilitate replication of similar bioprocessing systems at different locations. While the majority of bioprocessing facilities use some type of single-use technology (see sidebar), the extent of use, and when these plastic-based systems are used, suggests a conservative approach to adoption for commercial manufacturing. Most respondents to a BioPlan Associates survey (3) noted that less than 50% of their commercial manufacturing operations incorporated single-use components or devices; the most frequent response was 1–10%. Whether companies choose a plastic, steel, or hybrid approach, the key factor in selecting a platform is determining what works best for the molecule, expert say. Jenifer Wheat, head of commercial development, mammalian and microbial manufacturing business unit, Lonza Pharma & Biotech, says, “There’s enough room for all the scales out there. It’s not going to be all single use or all stainless.” In early phases, there are some small projects that cannot be done in single use, and some things that you cannot do in large volume, she says. While some in the industry feel that the adoption of single-use technology is not as fast as they thought it would be, momentum may be shifting toward single-use. Olivier Loeillot, general manager, global product bioprocess, GE Healthcare—which supplies both single-use and traditional stainless-steel equipment—says up to 70% of new plants are being designed to use single-use technology. People have a better understanding on how to use single-use technologies, understand advantages and challenges, and are more demanding to their suppliers than they were three to five years ago, he says. The potential for extractables and leachables contamination from the plastic materials is one argument against using single-use products. Efforts by industry groups to establish and standardize testing processes have alleviated some concerns. Bag integrity is another concern, particularly for large-volume products. “Clients sometimes have a predisposition to one manufacturer or another based on cell performance or other factors,” says Hughes. “We’ve been pretty successful in moving production across different platforms, even clients who are still in glass reactors or small stainless- steel reactors where they may have done some bench-scale studies. “Single-use systems work really well; once in a while you will find a glitch where it has been reported in the literature where certain cell types are a little slower in a bag system than in traditional shake flasks, but for the most part, it works pretty well for us and the industry in general,” Hughes says. The high cost of single-use consumables may deter some companies from adopting the platform for commercial use. Both material suppliers and CMOs argue that all costs—as well as product volumes—should be considered. And, the amount of drug product may be the ultimate deciding factor. Loeillot noted that a majority of the products in GE customers’ monoclonal antibody pipelines require a maximum of 100 kg per year, making the 2000-L single-use bioreactor suitable for their needs. “That does not mean that stainless steel will not exist anymore,” he says; it will remain very important for largevolume products such as biosimilars. For biopharma companies requiring up to 10 2000-L batches per year, Fujifilm believes plastic will win out versus an investment in stainless steel, says Steve Bagshaw, chief executive officer of Fujifilm Diosynth Biotechnologies. If you require more product per year, you enter a mixed zone where steel may work as well. For certain volumes, it makes sense to “scale out” versus scaling up, says Bagshaw. Instead of scaling from a 2000-L bioreactor to a 15,000-L bioreactor, a process can go from one 2000-L bioreactor used for process development to two 2000-L or three 2000-L bioreactors. “That way, you avoid the need to do any of the scale up. So, we’ve got enough people who are interested in that as a pipeline to believe that it is going to be a success,” Bagshaw said. The practice of developing a process at a 2000-L scale, then multiplexing at that bioreactor size for commercial production is attractive to some drug license holders; they have a higher confidence level moving to regulatory approval with a demonstrated process. “Some people want to multiplex all the way to commercial, but there is an argument for going into stainless at some point,” says Wheat. She recommends that companies delay a decision on a platform until they have Phase III data to know what scale is needed. Smaller companies with limited resources may not have regulatory staff to deal with changes involved in a technology transfer process from single-use to stainless steel, she says, so it is safer to stay with the process they know. Some of the bigger pharma companies also are conservative. Most contract manufacturers offer both stainless steel and single-use platforms to address the demands of the biopharma market for clinical and commercial manufacturing. Single-use technologies are a good fit for contract development and manufacturing organizations (CDMOs) and CMOs, and these organizations have played a role in advancing its adoption. “For a CDMO whose goal is to fill the plant with products, gaining this type of changeover time is critical for them. They can sell this to their customers because they can fill their plant in an efficient manner and they can be more economically competitive,” says Loeillot. CDMOs/CMOs that were early adopters gained another advantage on the market, Loeillot says. Large pharma companies that never used single-use— but know they have to switch—are turning to CDMOs experienced with single use, not only for drug product in quantities they need but to learn how to use single use so when they are ready to manufacture in house they can capitalize on the experience they have had with their CDMOs. Opened in April 2013 and recently expanded, Catalent Biologics’ Madison facility provides development and manufacturing services for biologics and features extensive use of single-use technologies uses for flexible cGMP and non-GMP production, the company reports. The facility features mostly single-use bioreactors, up to 2 x 2000-L. Its Bloomington, IN facility has both single-use and stainless-steel bioreactors, with up to 2500-L stainless steel bioreactors for commercial manufacturing. In January 2018, Fujifilm announced the qualification of its Saturn mAb Solutions facility in College Station, TX for cGMP production of monoclonal antibodies. The building was designed to accommodate 12 x 2000-L single-use bioreactors. Three bioreactors are operational, says Bagshaw, with another three on the way. In the same month, the company opened an 80,000-sq.-ft. Flexible Manufacturing Facility for production of advanced therapies. Both facilities use modular cleanrooms and incorporate single-use technologies. While few drug products are made in single-use plastics, “We intend to be there. We’ve got a number of successes coming our way,” says Bagshaw. Patheon, which has currently standardized on a 2000-L, single-use platform for new drug development through to commercialization, announced in April 2018 a $50-million investment at its facility in St. Louis, MO, to expand the company’s biologic drug substance capabilities for clinical and commercial supply. The expansion will double manufacturing capacity at the site and will feature a mix of Thermo Fisher bioreactors, consumables, and factory automation. The expansion will be operational in 2019. Thermo Fisher Scientific’s acquisition of Patheon in 2017 created a unique equipment supplier-drug product manufacturer relationship. Hughes says, however, that Patheon is flexible and will not force a customer into a specific platform supplier. The company is currently using systems from other vendors with “good performance” and will continue to offer clients “whatever system is right for the molecule,” says Hughes. While most CMOs have standardized on the 2000-L bioreactor for commercial processing, some are looking to higher capacity. In July 2017, ABEC introduced a 4000-L single-use bioreactor (4) and has since reported planned installations at Emergent BioSolutions (5) and WuXi Biologics (6). WuXi plans to use a scale-out strategy to achieve 24,000-L capacity, competing with the traditional large-capacity stainless steel bioreactors. 1. R. Rader and E. Langer, BioPharm International, 31 (7) pp. 10–14 (2018). 2. J. Markarian, Pharmaceutical Technology, 41 (7) pp. 60–65 (2017) . 3. BioPlan Associates, 15th Annual Report and Survey of Biopharmaceutical Manufacturing Capacity and Production, 2018. 4. ABEC, “ABEC Increases the Maximum Capacity of Its Custom Single Run (CSR) Bioreactors to 4,000 liters, Doubling the Industry Standard,” Press Release, July 10, 2017. 5. ABEC, “ABEC 4,000 Liter Single- Use Bioreactor to Expand Emergent BioSolutions Manufacturing Capability,” Press Release, Oct. 24, 2017. 6. ABEC, “WuXi Biologics to Install Industry’s Largest Single-Use Bioreactor from ABEC at its New Commercial Manufacturing Facility,” Press Release, March 20, 2018. More than 90% of the respondents to the 15th annual Report and Survey of Biopharmaceutical Manufacturing Capacity and Production (1) say they use one or more single-use devices during some phase of development and manufacturing. More than 80% of the respondents use tubing, disposable filter cartridges, empty bags, connectors and clamps, and buffer containers. More than 75% use filled media bags, preassembled tubing sets, depth filters, bioreactors, sampling systems, and tangential flow filtration devices. Less than two-thirds use disposable chromatography systems and less than half use disposable perfusion devices. All product types evaluated in the survey—except sampling systems—are used less for commercial production than R&D, process development, and scale-up/ clinical production phases. Disposable chromatography devices and bioreactors had the largest gap between scale-up/clinical production and commercial use. While the rate of usage by biopharmaceutical license holders and contract manufacturing organizations (CMOs) was similar for most types of products, CMOs were more likely to use disposable filter cartridges and chromatography devices; tubing, pre-assembled tubing sets, and connectors; and disposable tangential flow filtration devices. 1. BioPlan Associates, 15th Annual Report and Survey of Biopharmaceutical Manufacturing Capacity and Production, 2018.